These past two episodes of CA weren't as outlandishly hilarious as the previous ones, but I loved every minute of it. For once, a drama has managed to successfully fuse humor with character progression and depth. We continue to see Seung Jo's nuttiness, but it's counteracted by a visible undercurrent of compassion, sadness, and persisting love for those around him. He's definitely gone through the wringer, both from his gold-digger ex-wife and his outwardly hostile father. It lends perspective to his eccentricities, and starts to dig into the person he is underneath all that. Yet what really makes these two episodes stand out is that Se Kyung is finally rising to meet him, demonstrating a complex, conflict-rich character core of her own. I've found that even episodes are generally better than odd ones, perhaps because it takes some time to re-warm up to the premise we left a week earlier. I find K-dramas to be particularly rich in emotional threads, which caters to a continuous viewing rather than weekly ones. This makes them a bit more taxing to repeatedly leave-and-return to, unlike American shows, because you have so many ephemeral sensations and feelings associated with them rather than pure visual pleasure. Perhaps that's why they air two episodes side-by-side. Episode 6 certainly cinched my love, but episode 5 was great on its own as well. The final benzene twist made me go WTF for a second, but I ended up loving the identity-humor it brought on. And seriously, this is probably the most unique way to have a character end up in the hospital. CA does the subversion of cliches masterfully. It takes elements that are common in K-dramas, from emergency room visits to hidden identities, parental meetings, and heart-thudding close-proximities, and manages to make them seem fresh and unique. This is probably the first time where I don't want to the truth to come out about a character's identity, because really, that would take away all the fun and heart. In a sense, we're getting two dramas in one - the one where the heroine falls for the pauper, and the one where the chaebol falls for the plucky heroine. But the heroine in this case is far from the standard, in that she has her own agenda and appears willing to be ruthless in her pursuit of it. The final minute of episode 6 was EPIC in its richness of emotion and beauty. The music, the incredibly nuanced mix of regret and yearning on her face, the gullible happiness on his face. 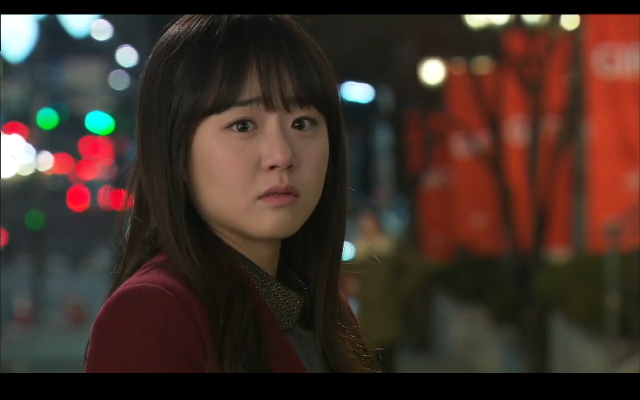 I'm pretty sure Seung Jo's going to end up betrayed, and that already breaks my heart. The fact that "Love" is only one of three obstacles makes me even more fearful, because storywise it means that Se Kyung has to betray Seung Jo by "overcoming" love in order to face the final two obstacles. Can we seriously talk about their chemistry though? OMG the soju-tent hug was intense, even though it's probably a set-up I've seen 100x before. What made it awesome? The fact that they're both super aware (neither one is fully drunk) and that he actually grabs her to him. And it's only episode 6!!! Even better than the physical closeness though were the conversational bits. They have such incredible chats with each other, which manage to lend true credibility to the budding emotions on both ends, especially the once-reluctant Se Kyung. 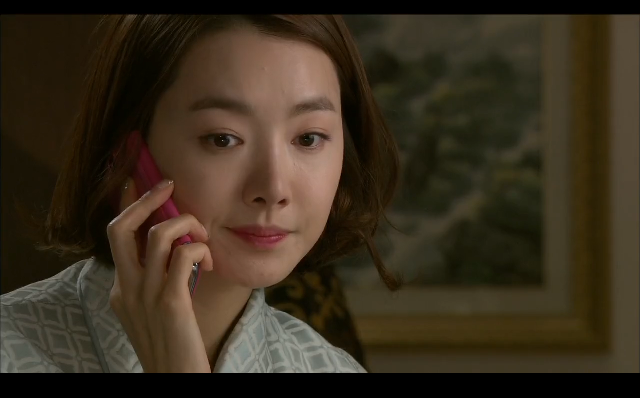 The pseudo-phone call was probably the cutest, and miraculously didn't make me cringe at all despite the cheesy set-up. It helped that it was Park Shi Hoo on one end, but it was even better that the dialog made sense and managed to sneak a subtle glimpse into Se Kyung's thoughts, which until now were a mystery even for us viewers. And finally, I love that she's learned to take his weird acts in stride with a look of puzzled humor, such as when he pretend-U-turns the steering-wheel of the car (seriously, no idea why, but so cute!). I think Yoon Joo was also the side character who showed the most dimension in the past two episodes. I like the other characters, but so far they've been pretty one-note in terms of only serving the plot and not moving it forward. Yoon Joo's conflicts, however, are coming to play a pretty significant role to the story, and will likely only expand was things progress. I really felt for her vulnerability and moment of shock when the past catches up to her. She's definitely been pinned to a corner, which begs the question of just how fruitful her path to Cheongdam-dong truly was and adds another layer to her character. I kind of hope she's not referring to Seung Jo when she mentions her personal "love" obstacle, just because we don't need a three-way-lady battle for the man. I thought she might have had a thing with Tommy, given his cryptic comment on how Se Kyung reminded him of someone else in episode 5, but their meeting didn't seem to indicate anything weird. I know we have 10 more episodes, so will ready my heart in case things go a direction I don't like before the end. But so far? This show is magical.